From our Sept 24th Newsletter. We thought it would be a good time to let everyone know how much we appreciate you, our customers. This month, and every month, we will run different ways to win free crystals. What’s not to love? There are currently 2 ways to win! 1. Place an order between now and October 9 to be entered to win all these beautiful goodies! Our Facebook contest is up and running, visit our page comment, like and share to be entered to win these goodies. And now all orders $75 and over will ship for free*! This month is a time for new beginnings. Many of us look at Mercury retrogrades with just a hint of apprehension, with the best laid plans often going awry. However Mercury retrogrades can be a positive thing! This Mercury retrograde continues on the energies of last months Venus retrograde. This Mercury retrograde is about setting new patterns, it is time to reevaluate and reconsider. You may find yourself coming back to old projects or situations, this is your chance to revamp old projects and make them better! Sometimes you have to take a couple of steps back to recenter yourself and begin again with a fresh perspective. This combines with a rare lunar eclipse this Sunday with September’s supermoon. What better time to sweep out the old and bring in the new! Now is the time to set your intentions to manifest your dreams. 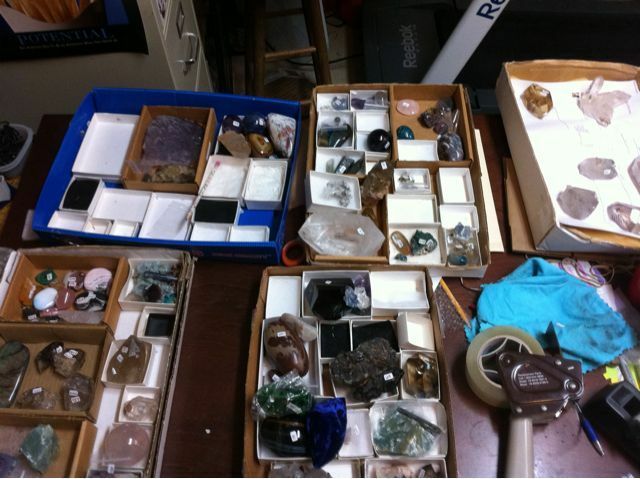 We have added a wide variety of new crystals and minerals, including a several from our personal collection. We are also listing a number of stunning offerings from an estate sale. 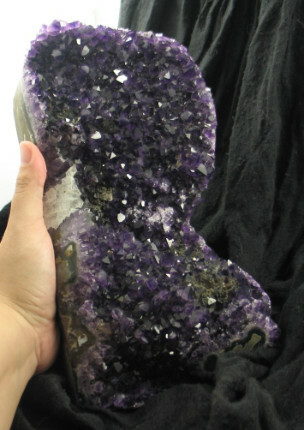 Pink amphibole crystals from Madagascar, Black Shiva Lingams, and gorgeous amethyst crystals are among our other additions. Check out all of our latest offerings here. *Free Shipping up to $25 value. No coupon necessary. We have become more aware of the effects of the Mercury retrogade, (Sept 17 – Oct 9th) but many of us have been feeling the effects of a relatively rare Venus retrograde, it happens about every 19 months. Most people think of Venus and love, but she rules over all relationships, art, beauty, and finances. Venus has also been known as the god of war too, so you may have seen more conflict in your life than you are used to. This has been a time to reevaluate situations and break from toxic relationships. Venus leaves retrograde Sept 6th and will be full direct by Oct. 9th. As you may notice we will have an overlap where we will feel some residual affects of Venus, while working through the next Mercury retrograde, bringing lots of re-evaluation and change. As we move out of this retrograde we should look towards re-energizing abundance in all aspects of our lives. When working with crystals for abundance, you’ll notice that most of them are green (hmmm, the color of money?) But they are also the color of the heart chakra. However, the solar plexus and sacral chakras are important too. You need to dispel fears, and awaken the creative forces within. Shattukite is a perfect stone to work with during this time. Shattuckite promotes strength and courage and the tenacity to continue during stressful situations of life. Of course we can’t talk about abundance without mentioning citrine! 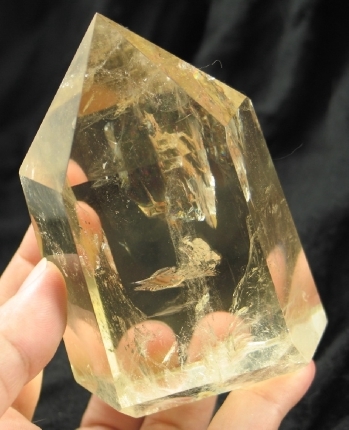 It is one of our favorite varieties of quartz and it rules the solar plexus. Citrine dispels fears and promotes abundance. We have citrine from the Congo and Brazil, some are lightbraries, some have blue tourmaline, and others are a dreamy combination with rose quartz! The sacral chakra is the root of ideas and creativity. Sunstone, Calcite and tangerine quartz are all good sacral stones. Check out all of our latest offerings here. There is something for every budget, we currently have over 200 items under $50! Thank you all for adopting all these wonderful spirits. we’re still working hard to get them safely bundled for their trip to you! Thanks all for your patience! As Thanksgiving draws near, we’d like to show how thankful we are with a super sale! We are thankful for our long time customers for being with us while we transitioned to our new site, with words of support and encouragement. We’re grateful to our new customers who share with us their joy in discovering the crystalline world. 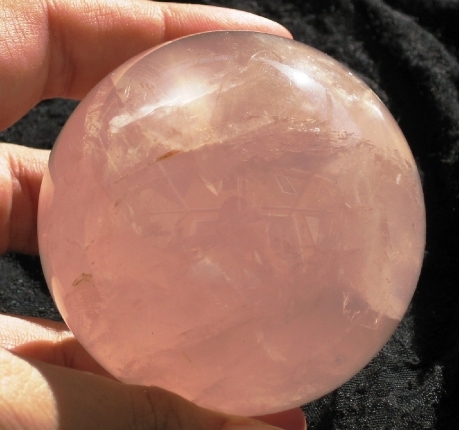 But most of all we’re thankful for the crystals, who share their wisdom, joy and light with us all. To help you share the joy, this week only we’re having a Thankfulness Sale, so draw up your lists for you, your family and friends! Join our newsletter for 50% off on Black Friday, 24 hours only. Coupon is necessary and it will only be found in your newsletters! Subscribe Now! 25% off valid 11/22 – 11/29/2010, no coupon necessary. Not valid on layaway, special orders or with any other special offers or promotional gift certificates. Void where prohibited. 50% Sale valid From 12:00 AM – 11:59 PM Eastern 11/26/2010. Coupon must be present at time of check out. We will not hold crystals for the 50% off sale; first come, first served, no rain checks. No exceptions or adjustments will be made, sorry Mom and Dad, that means you too! 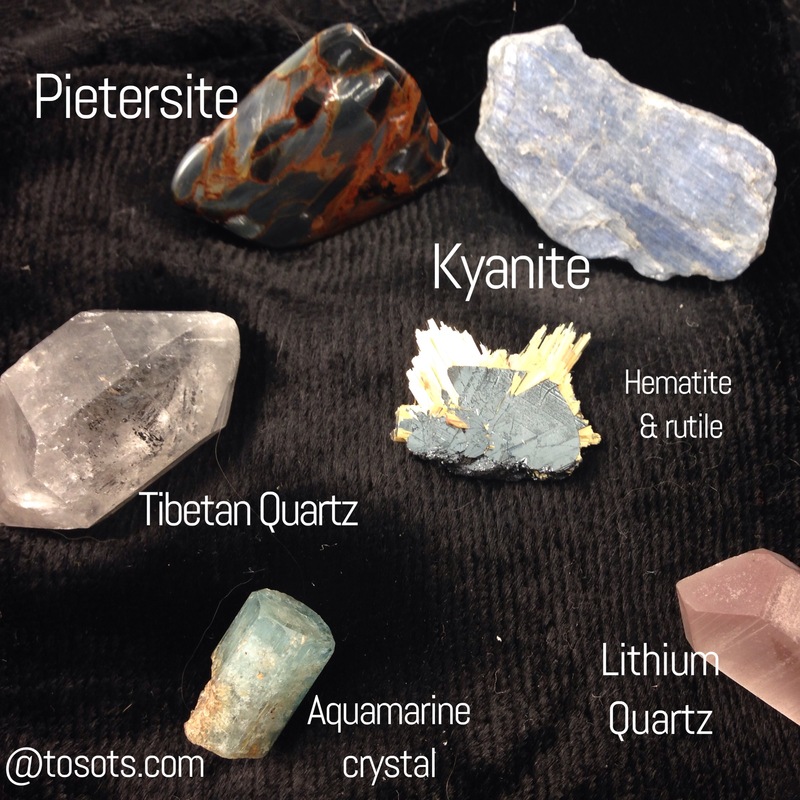 Phenacite, Super Sevens, Morganite and More! Here’s our latest newsletter! We’re really excited about this latest set of offerings. The featured items are all from the latest visit from one of our favorite suppliers (It doesn’t hurt that he travels to us!). We have a very nice selection of rare Brazilian beauties. Solution Aquamarine and it’s rarer cousin, solution Morganite, and even rarer Bi-Color Morganite! You’ve got to see them! We also have Spessartine garnets that are becoming increasingly hard to find. Plus Phenacite and new Super Seven Cabochons! What’s not to love? If you’d like to be on our mailing list, sign up here! Each month we have a drawing for a $20 Gift Certificate! 10% off all order through November 5th! In addition FREE* shipping on domestic orders over $100 via First Class and Priority Mail and international orders over $200 via airmail! No voucher or coupon codes necessary! Better yet, there are no codes to enter! Shop Now! We had a glitch in our system that wasn’t allowing for free shipping, but we think we’ve fixed that now! Thanks for your patience. Free Shipping Through July 12th! Free standard on orders over $100, via 1st Class domestic & International mail or domestic Priority Mail. International Priority mail, UPS, and Rush orders extra. Offer expires July 12th. We just finished a round of smudging with sage, lavendar and our new favorite Paulo Saunto holy wood from Peru! That was accompanied by two Tibetan bowls! Divine! Thanks for stopping by. I haven’t had a chance to get settled in, but new posts will be rolling in including helpful tutorials on our new site, with screenshots! If you have questions in the meantime, check out our new FAQ.